Amy Elliott Smith has kindly tagged me to answer the following questions about my novel due to be published by Crooked Cat Publishing on 14th December 2012. Myopia; which is the technical name for short-sightedness. I’m fascinated by how glasses and glasses-wearers are perceived by others. In films, TV programmes and common Western culture, wearing glasses is a sign of being a geek or a swat, or it can even represent ugliness. The cheap stereotype in movies (e.g. Rachel Weiss’ character in ‘The Mummy’) is that the character wearing glasses takes no care over their appearance and isn’t attractive until they discard the specs. There is definitely a common and ignorant ‘pre-judgement’ about people wearing glasses. I was born with a squint and still wear them now. My book asks readers to ‘look beyond the glasses’. It’s a Young Adult /crossover novel. Teenagers will relate to the characters and their problems, but it’s gritty enough to appeal to adults too. It’s realistic in its portrayal of bullying and growing-up, but it also contains slipstream/psychological elements. Need some good teenage actors for this one. It would make a great film and would be an opportunity for some young British actors to stretch themselves. Just like for the Harry Potter films this would be an ideal script for unknowns to be cast. That’s sometimes preferable as they don’t bring any baggage or pre-conceptions with them. Tom Hardy could be Jerry’s Dad and Eddie Marsan – Wayno’s dad. Ralph Fiennes would make a marvellous Mr Finn (my favourite character). Jerry is bullied for wearing glasses when he realises his short-sightedness is not a disability, but a different way of perceiving and understanding the world around him. It took about 8 months on and off. Then I left it for a while and came back to edit the first draft. Many changes and improvements were made for the better. It was much longer and needed a great deal of paring down. One early major idea just didn’t work and had to be cut out completely for the story to be restructured. In terms of YA fiction I love the writing of Graham Joyce (Do The Creepy Thing et al) and of David Almond (Skelig). I was the squinty kid in your class with the patch over one eye! I wanted to bring my own experience to bear, although this novel is a work of fiction and not in the least autobiographical. I am also a secondary school teacher and I wanted to write a book that teenagers would enjoy reading and which might challenge them to think for themselves. 10) What else about your book might pique the readers’ interest? 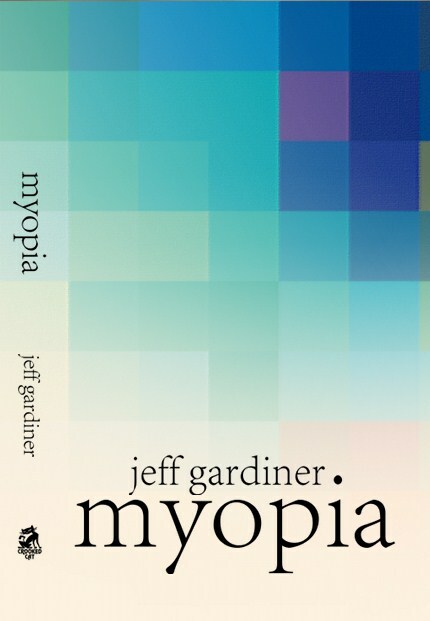 In Myopia, the protagonist, Jerry, takes it upon himself to tackle bullying, without resorting to violence. He comes up with intriguing ways to make the bullies listen without hitting back. I want schools and individuals to consider how we can get rid of the insidious practice of bullying, which makes the lives of so many people a misery. There is also a romantic element between Jerry and the lovely Parminder, which allows the book to explore another form of prejudice: racism. as a paperback and ebook.